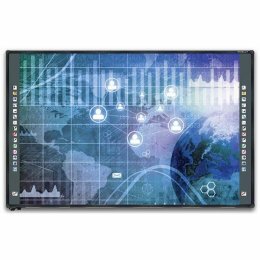 The FX-89WEI StarBoard Interactive Whiteboard is an 89" digital whiteboard designed to deliver the most seamless interactive experience in the industry. Gone are the days of pen or stylus driven technology, this revolutionary tech can be operated with a finger, with all movements relayed directly to the surface of the board for a smooth, seamless and comfortable operation and looks and feels like a classic whiteboard! 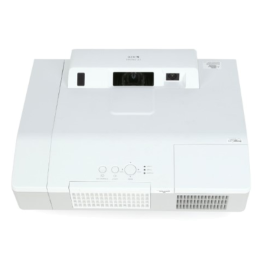 Hitachi 89WE1 is an amazing touch sensitive interactive whiteboard that help make presentations highly dynamic and communicative. It supports a user-friendly interface that keeps students engaged throughout the lecture. 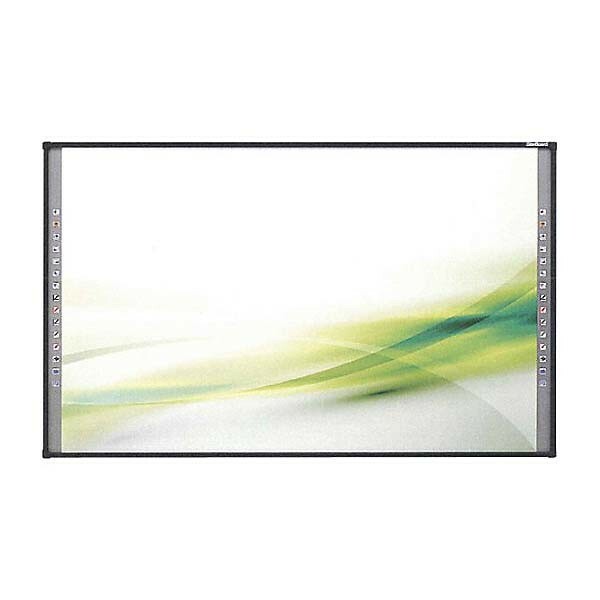 Hitachi 89WE1 interactive whiteboard has a durable and long lasting multi touch surface. Owing to the boards improved bracket design and steel surface which makes the tool very light in weight, now mounting the board on the wall is the easiest task one can imagine. The presenter annotates directly on the StarBoard using a finger, stylus pen or any object and employs the 15 customizable function buttons to navigate websites, generate lessons, screen tutorials and access other educational resources. The Dual Pen features mean two users can write and work on the board at the same time. The whiteboard comes with an electronic pen and StarBoard software. Teachers will be able to give more streamlined lessons with the use finger driven feature and multi touch gesture capabilities offered by this 89WE1 interactive whiteboard as it gives the leverage to add class notes, use internet and variety of digital links to prepare attractive lessons, export notes to different file format and import Microsoft office files. Hitachi 89WE1 also supports Remote Conferencing feature enabling its users to experience a dynamic way of learning and conducting business. It is another efficient way of increasing productivity and allows both parties from two different locations to work on the same screen and annotate running applications, browse the Webpages, and add comments or notes to the documents at the same time. One can save all the annotations along with the original document for editing, playback or sharing. This revolutionary new tech is sure to bring a paradigm shift in teaching interactive displays, since the seamless integration almost eliminates all the machine-human barriers insuring high interactivity and productivity.